My family and I are veteran RVers. We rented our first RV (recreational vehicle) in 2007 and purchased our own coach in 2014. We’ve criss-crossed the country twice and have visited 40+ national parks. Without a doubt, I believe that RVing is the best way to see the USA and make lasting family memories along the way. When my husband and I decided to take our sons, then ages 4 and 7, on a 3-week trip to ten national parks in Arizona, California, and Utah, most of my mom friends thought that I was insane. I hadn’t set foot in an RV since I was a child, but I had fond memories of that family trip to Washington, D.C. Now I was going to be behind the wheel. From that very first trip, we learned 10 important lessons that will hopefully help you enjoy your time on the road, even if you’re a newbie. Admittedly, we probably took on more than we should have on that first RV trip. During those three weeks, we drove more than 2,750 miles with our two young sons. That’s a lot of time behind the wheel and a lot of time to expect young kids to keep entertained. In reality, first-timers should really limit their road trip to no more than two weeks. If you have kids under five, consider one week. 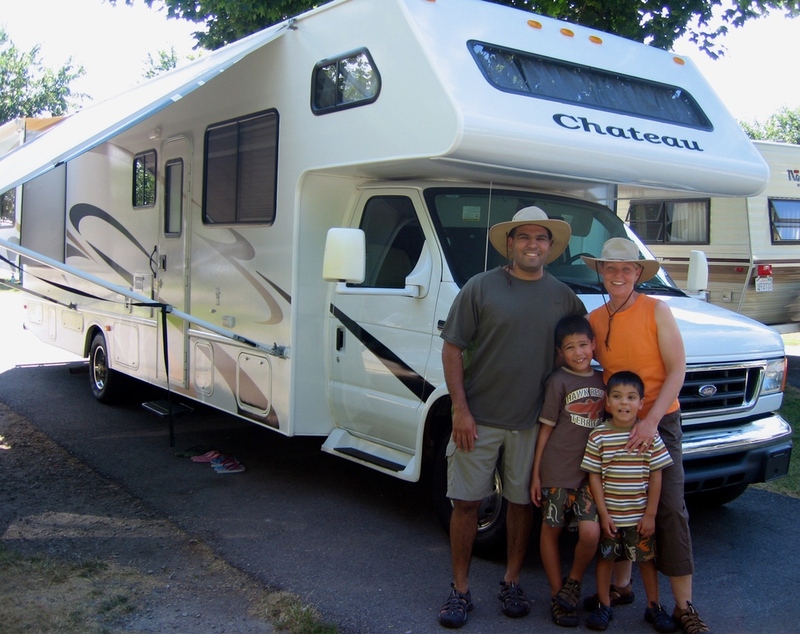 Renting an RV is not difficult. There are rental companies in most cities that serve as gateways to America’s national parks. You simply go online and choose: Class A, B or C. What’s the difference, you ask? Class A coaches are the largest motorhomes. They can be up to 45-feet long with two or three slideouts (more on that in a moment). They’re typically loaded with amenities like a full-size refrigerator and washer/dryer. However, the gas mileage is abysmal, and they can be very difficult to maneuver. For a rental, it’s going to be more motorhome than you’ll need or want. Class B RVs look like oversized vans. Despite getting the best gas mileage, they’re probably not the best choice for a family RV trip. Quarters are extremely cramped and lacking in amenities. In my opinion, the superior choice for your family’s first road trip is a Class C. This coach drives like a pickup truck with a bunk above the cab area for extra sleeping. It usually has a rear bedroom, living/dining space, small kitchen, and an even smaller bathroom. It gets about 8 miles per gallon. In an attempt to be fiscally responsible, we had reserved a 26-foot Class C RV on our first trip. But after taking one step inside, we realized that we had made a mistake. Three weeks is a long time to spend in 26-feet of living space, especially with a rambunctious 4-year-old boy! Fortunately, the rental company had a 31-foot rig, so we immediately upgraded. It was worth every penny. 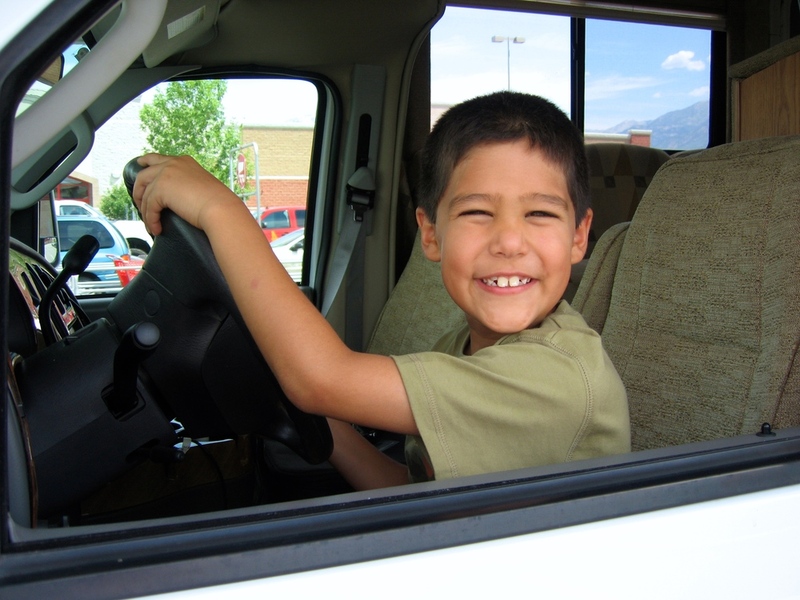 KidTripster Tip: Private owners also rent their trailers and RVs; it's like Airbnb for campers! I'd recommend looking at Outdoorsy. The RV that we originally had rented had only one slideout. 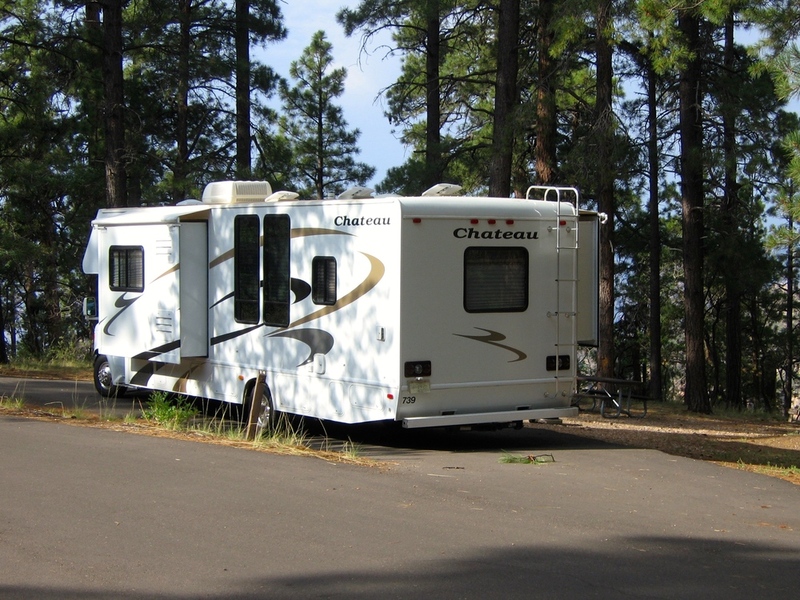 A slideout is a section of the RV that can be expanded when the RV is parked. When bumped out, you get more living space in the coach. Slideouts are invaluable, and I wouldn’t rent any unit that didn’t have them. Look for a Class C that has two slideouts. Because space is at a premium, you’ll want to pack only the essentials. We limited each person to four changes of clothes. Nearly every campground has laundry facilities. And while you probably don’t relish the job at home, my husband and I fought each other to do the laundry as a chance for a little alone time on the trip! If you’re flying into a city and then picking up your RV, you’ll need to swing by the grocery store for food and supplies. But word to the wise: unpack your luggage in the parking lot of the rental company before heading to the store. We didn’t and soon found ourselves unable to move with two giant duffle bags, four oversized backpacks, and ten bags of groceries inside the RV! As a working mom, I often don’t have a lot of time to cook. On this trip, I was determined to bring out my inner Gordon Ramsay. I even packed a cookbook which, in retrospect, seems absolutely ludicrous. Motorhome kitchens are small and only equipped with the basics, so keep it simple. Rely on the outside fire pit or grill. Grilling is a lot easier to clean up, too! When planning our trip, I had visions of bouncing down the road - reading, playing board games, and spending quality time with my children. We did. However, the road to where you’re going isn’t always straight, and I suffered some awful motion sickness. It’s in those moments that I softened on my no-electronics rule and allowed the kids to play video games or watch a movie. Surprisingly though, they actually preferred to listen to audiobooks with the grown-ups in the front cab. The books keep them entertained and me awake while driving. Borrow them from your local library or download them on a tablet or cell phone. I had researched each of the national parks that we’d be visiting thoroughly, right down to the best trails for kids. (Fortunately, you have the Outdoors section of KidTripster for that!) I quickly learned that hiking for our boys was not necessarily about the destination but instead about the hike itself. One of their favorite hikes was to Sipapu Bridge in Natural Bridges National Monument, a little-known spot in southeastern Utah. The boys had to maneuver over slickrock and climb wooden ladders. They were rewarded with a picnic under one of the country’s largest natural rock bridges. The Cave Spring Trail in the Needles District of Utah’s Canyonlands National Park also offered something more for kids. The trail wound past a historic cowboy camp, prehistoric pictographs, and boulders that just begged to be climbed. And I’ll never forget the look on my 4-year-old’s face when he reached the base of Bridalveil Fall in Yosemite National Park after traversing giant boulders and leaving kids much older than him in his dust. Upon arriving at the visitors center, kids pick up workbooks with educational activities and puzzles specific to that park. They attend a short, ranger-led talk or watch a video presentation. And when out on the trails, they pick up any litter that they may find. After completing the program - which typically takes one to two hours - they are sworn in as Junior Rangers, complete with souvenir badges or patches to take home. My husband and I found that we learned just as much as the kids through these programs and developed a much better appreciation for the natural wonders that we were visiting. Depending on the popularity of the national park or monument that you're visiting, admission ranges from $15 to $35 per vehicle. If you’re visiting multiple parks in the same year, consider the Annual National Park and Federal Lands Pass for $80. It can purchased at any national park or monument entrance. We tried to limit the number of long driving days. My youngest son only could tolerate about three hours on the road before he’d start to climb the walls, or more accurately, the bunk bed over the driver’s seat! We stopped often, taking short hikes to expend some energy. About halfway through the trip, I got smarter. I’d wake up at 4 a.m. and detach the electric, water, and sewer lines in the dark; then I’d slip behind the wheel. At that time of the morning, it was just me and a few hundred truckers. Truthfully, I loved it. I enjoyed watching the sunrise in the quiet of the morning. By the time the kids woke, we’d have three or four hours of driving time logged. Without a doubt, it was worth my loss of sleep. All and all, our first RV adventure on the winding backroads of the awe-inspiring American West was one of our best family vacations. I can’t imagine having done it in a car, going from hotel to hotel. RVing allowed us time to explore, share, and simply be a family. And we’re still on the road today. Editor Shellie Bailey-Shah still travels to national parks with her husband and two sons. 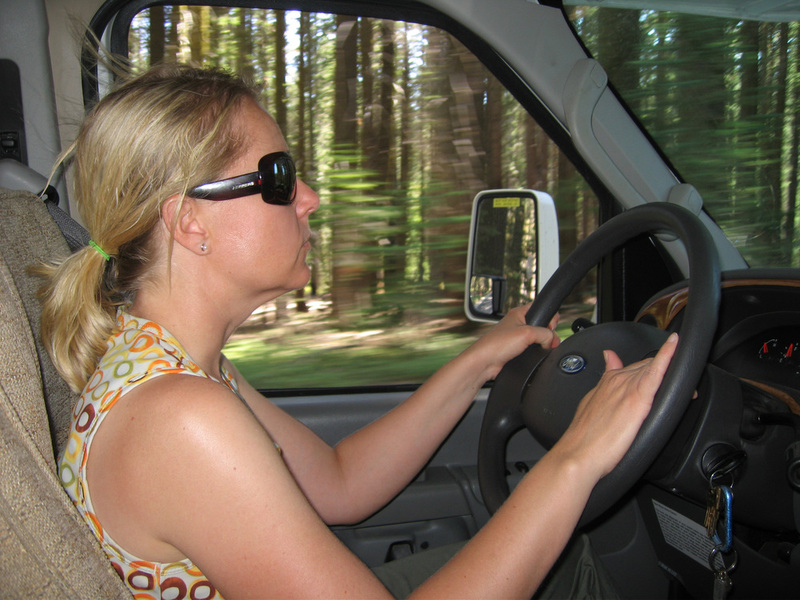 She’s logged thousands of miles behind the wheel of the family’s RV. Looking to get out into the Great Outdoors? Consider renting an RV or camper with our friends at Outdoorsy. It’s the Airbnb of RVs, matching RV owners with would-be renters. 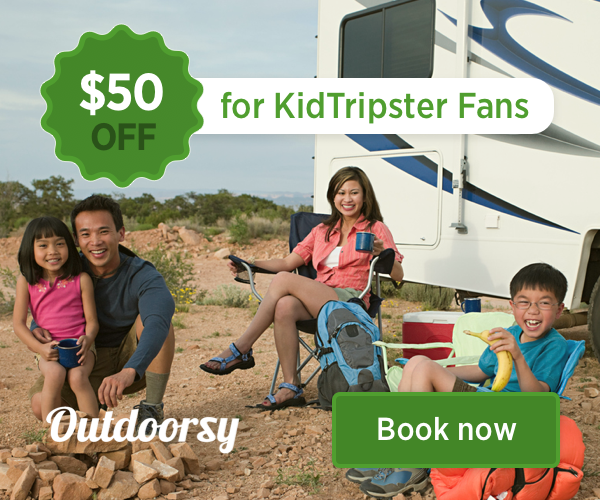 Use this link to book, and KidTripster will get some coffee money from Outdoorsy at no additional cost to you. And you’ll get a $50 discount!